Look for the Union Label: Pictured below is one of the most commom union labels that I come across while thrifting. 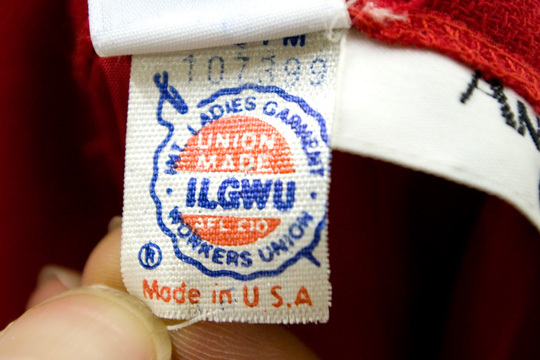 The International Ladies’ Garment Workers’ Union (ILGWU), made up of mostly female members, was formed in the 1900s. Found in the hem or seam, it is a great way to determine the era when a garment was made. 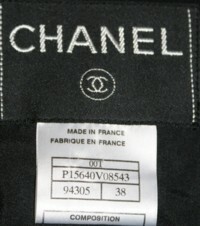 Pay attention to Hand-sewn Labels: Hand-sewn labels are excellent indicators of the authenticity of a vintage garment. It is the final touch highlighting the designer; therefore, much care was put into it. However, you may encounter some garments with fraudulent label switching, so do your research. 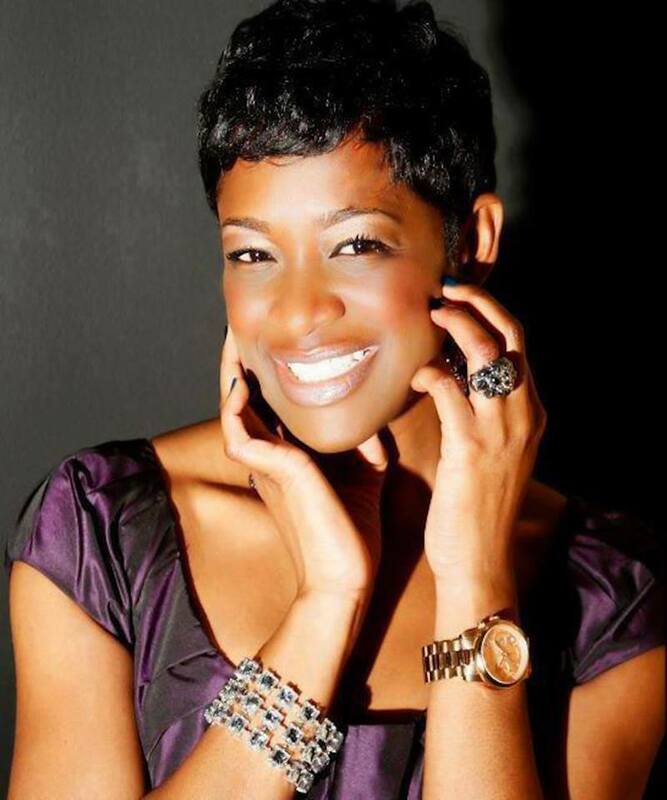 One of my favorite sites is Couture Allure Vintage Fashion. It is a great resource for learning more about vintage clothing and fashion. 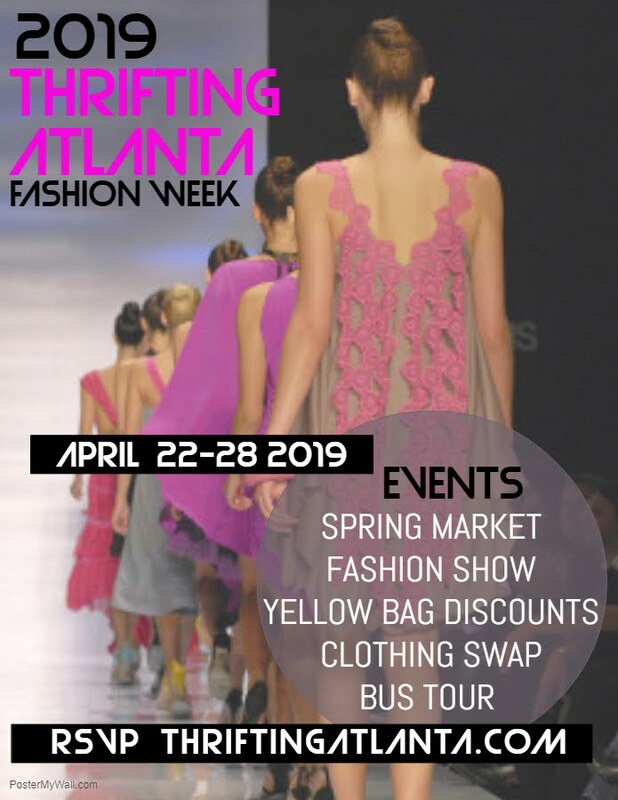 Labels identifying both Designer & Fashion House: Many world renowned designers, like Oscar De La Renta, worked for a company or a recognized fashion house before designing for their own label. Seeing a label like the one pictured below is a clear indicator that the garment is vintage. Sizing: With so many of today's designers and clothing manufacturers practicing vanity sizing, your size in vintage clothing may be different based on today's sizing standards. 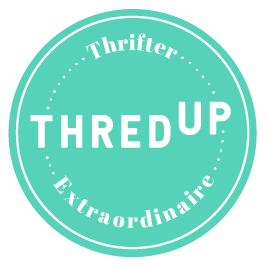 Shopping for vintage clothing can definitely be described as a treasure hunt. It is such a great feeling to become the new owner of a fabulous, one-of-a-kind, well made garment. It becomes a conversation piece and a style statement! Thanks Inez, hopefully it's a help to others. Most useful and interesting post. I learned these pointers along the way and wanted to pass them along. Once again, great tips! I didn't know about the Union labels, so thank you! Also, thank you so much for your recent encouraging Tweet. The blogging community is usually so uplifting and positive, and I thank you ladies for your support! Thanks again Ashley. Stay encouraged! This is a great post, I always see the union label, that's how I determine that an item is vintage. Juanette, yeah the union label is the first hint to grab if you love it. 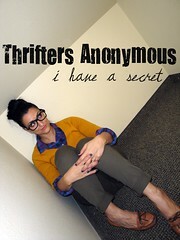 Very informative post although I never have a specific designer in mind when I'm out thrifting.